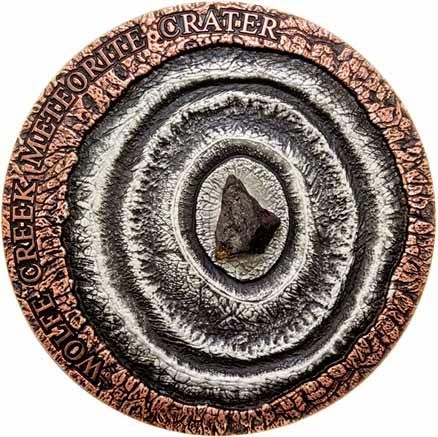 Wolfe Creek Crater is a well-preserved meteorite impact crater (astrobleme) in Western Australia. It is accessed via the Tanami Road 150 km (93 mi) south of the town of Halls Creek. The crater is central to the Wolfe Creek Meteorite Crater National Park. The crater averages about 875 metres in diameter, 60 metres from rim to present crater floor and it is estimated that the meteorite that formed it had a mass of about 50,000 tonnes, while the age is estimated to be less than 300,000 years (Pleistocene). 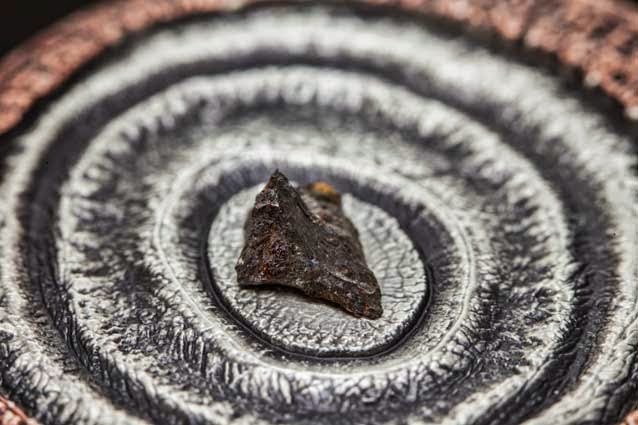 Small numbers of iron meteorites have been found in the vicinity of the crater, as well as larger so-called 'shale-balls', rounded objects made of iron oxide, some weighing as much as 250 kg. The crater was featured in the 2005 horror film Wolf Creek, and the sequel in 2013, Wolf Creek 2. It was the setting for Arthur Upfield's 1962 novel The Will of the Tribe. The Wolfe Creek crater has considerable claim to be the second most 'obvious' (i.e. relatively undeformed by erosion) meteorite crater known on Earth, after the famous Barringer Crater in Arizona. The crater is mentioned in the children's science fiction book Alienology that says (in its universe) that a space craft crashed there.